Where has the time gone to over the last week and a half since my last blog post, oh yeah, I've been buried in my studio designing like CRAZY!!!! 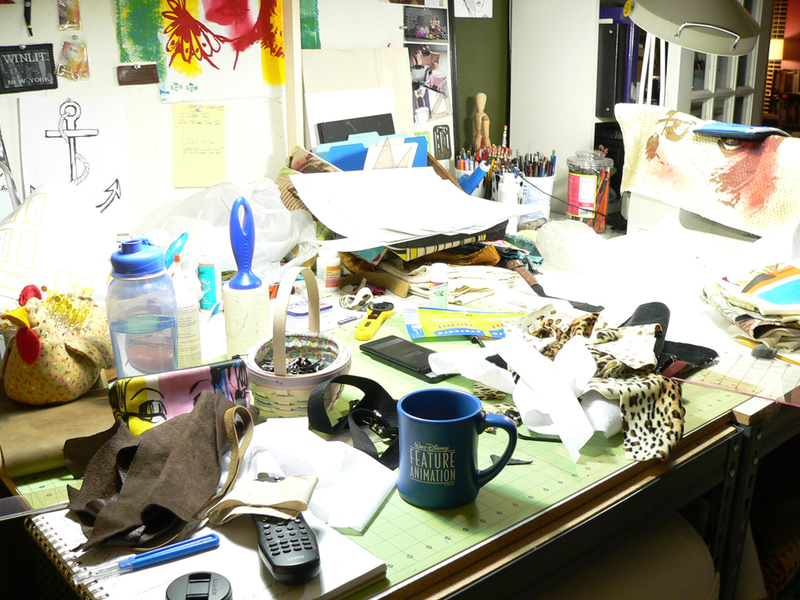 Just look at my poor studio it's a mess from the madness of creating, but ohhhhh it was so much fun, exhausting, but fun. Every day was filled with printing, designing, cutting and sewing new designs in leather for the shop. My studio has the wonderful smell of a leather shop. Also over the last week and a half I've been very busy making and sending birthday gifts and fulfilling many orders, Yippeeeee, one of my bags is actually going to Bahrain as you read, how incredibly exciting to be going around the world with my products and designs! This messy studio has already been cleaned-up and I spent the day photographing all the new bags for the store, just give me a little time to sort and post them to the shop.